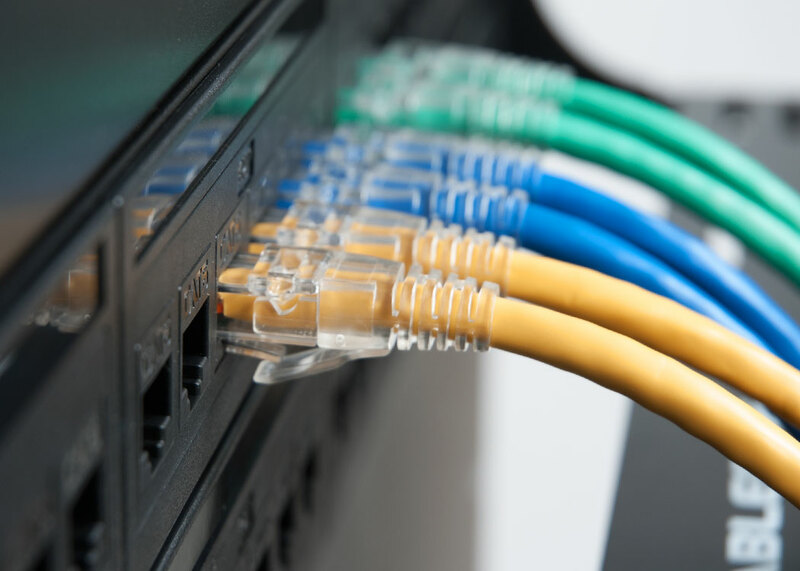 What is Category 6 Ethernet? 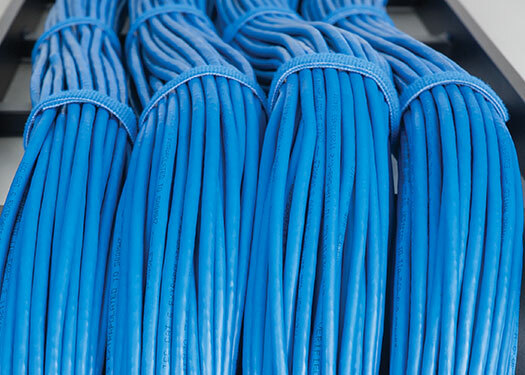 The Electronic Industries Association (EIA) and Telecommunications Industry Association (TIA) established the standards and performance specifications for Category 6 (CAT6) Ethernet cables and connectivity. 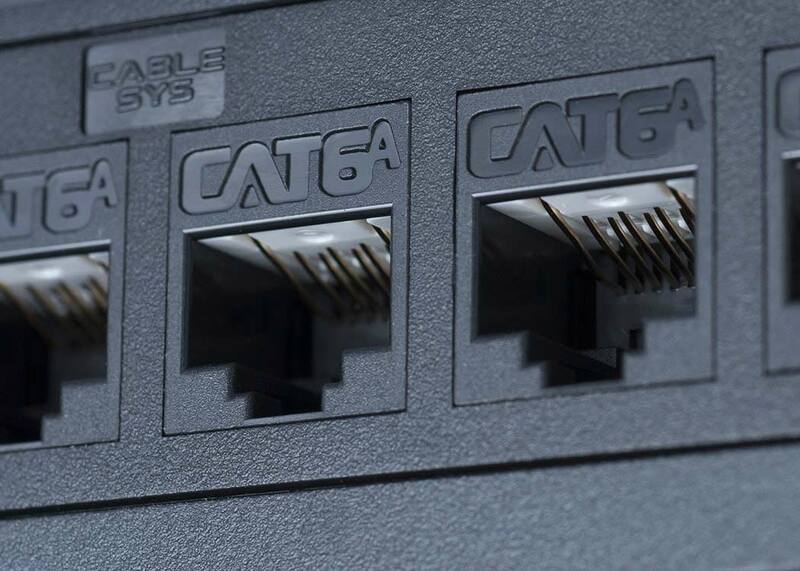 The CAT6 cable standard specifies a CAT6 cabling system should support Gigabit Ethernet data rates of 1 Gigabit per second up to 250 megahertz (MHz) and a Category 6A (CAT6A) system can accommodate 10 Gigabit Ethernet up to 500 MHz. 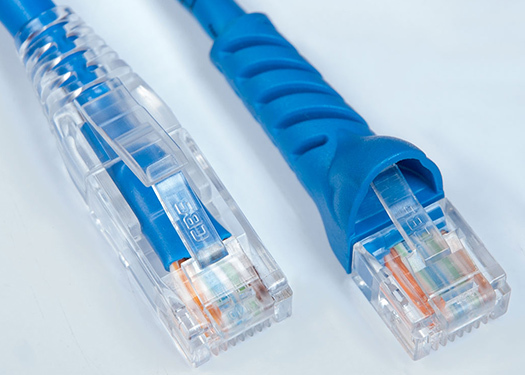 A single CAT6A and CAT6 cable can both support 10 Gigabit Ethernet. However, CAT6A cable has improved alien crosstalk characteristics and can double the data transmission bandwidth, from 250 to 500 MHz. 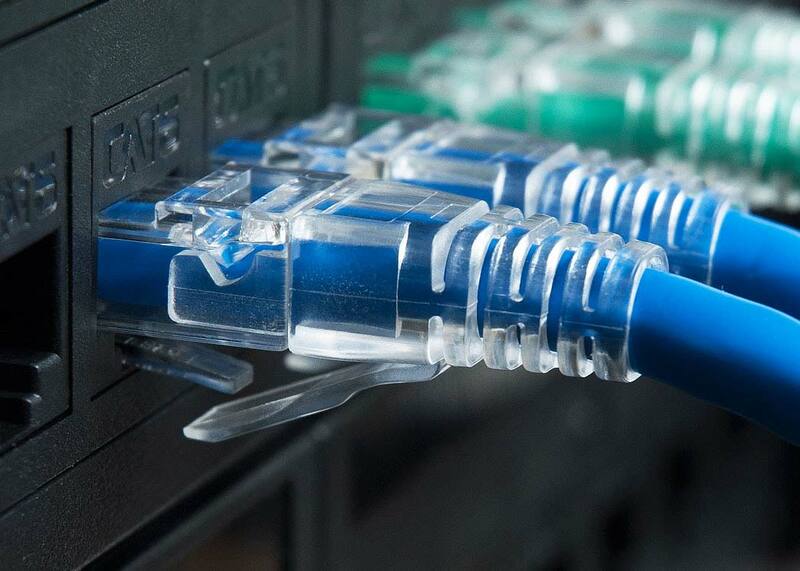 Bulk CAT6A cables and bulk CAT6 cables can run 10 Gigabit Ethernet distances of up to 328 and 164 feet respectively. CAT6A cable tends to cost more and is much heavier and bulkier. Both cables use a four-wire pair signaling scheme to achieve the necessary data rates. Earlier generations of Ethernet, known as Fast Ethernet, are Category 5 (CAT5) and Category 5e (CAT5e). These bulk Ethernet cables can support a maximum frequency of up to 100 MHz. However, CAT5e Ethernet complies to more stringent standards specified by the Institute of Electrical and Electronics Engineers (IEEE) and has completely replaced its predecessor. While CAT5e cable features 1.5 to 2 twists per cm, CAT6 cables are more tightly wound and feature 2 or more twists per cm. CAT6 Ethernet cable is backward compatible with the Category 5, Category 5e, and Category 3 cable. The same number of wire pairs and RJ-45 connectors are employed during installation. 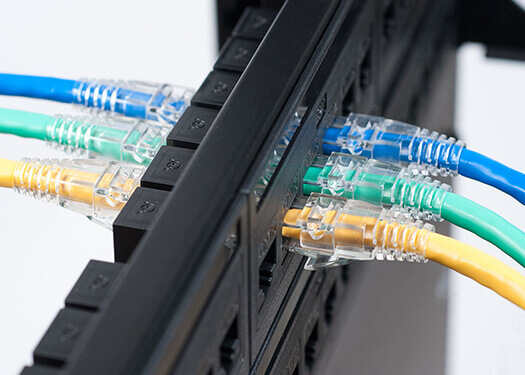 However, if the lower category-rated wiring is used, then the overall performance is degraded, and the network-ethernet cable may not meet CAT6 performance specifications of Gigabit Ethernet. A CAT6 or CAT6A cabling system must be properly installed and terminated to meet industry specifications. 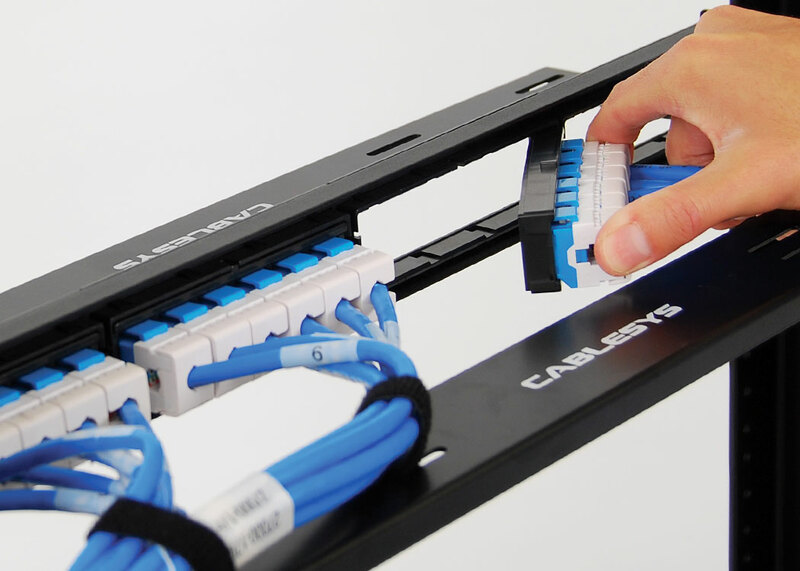 To simplify installation and ensure the performance complies with TIA/EIA standards, Cablesys offers a pre-terminated patch panel cabling solution. Cablesys pre-builds, pre-labels, and pre-tests the cabling and ships it complete with patch panels and mounting hardware. Installing the system requires no special tools and no training. Simply mount the patch panel, then route and snap in the cable assembly. Patch cables experience the most wear and tear. The design, quality of termination and compliance to EIA/TIA/IEEE standards should be considered. Cablesys offers “data center grade” CAT6 Ethernet patch cables. 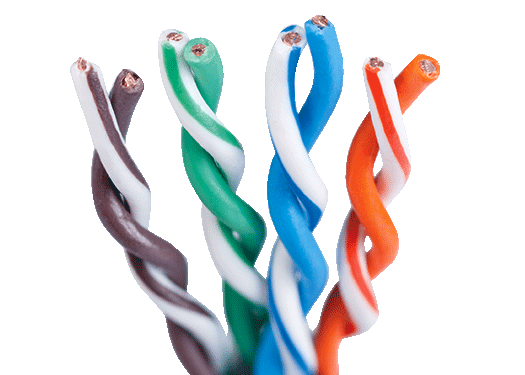 Thick bare copper, enhanced strain relief, snagless boot and various lengths and colors are a few technical details Cablesys applies into building them, for a longer life span. In larger scale networks in data centers, it is ideal to use centralized chassis switching and aggregate all server connections through patch panels back to fewer, bigger switches. This tends to be the way most enterprises build networks. Cablesys offers CAT6 feed-through patch panels that are designed for quick patch cable extensions. CAT6A cable is the “go to” when running 10Gig in the data center. However, CAT6 cable will carry a 10G signal up to 55 meters (180 feet) and the diameter is on average about 25% smaller in size. Cablesys CAT6 bulk cable is made with 100% thick copper to prevent degradation in electrical performance and maintain integrity over a long period of time. Plus, it is packaged in a pull-box for easy dispensing and uses the Reelex II patented method of winding to prevent twists, tangles, or snags. Why Install a CAT6 Cabling System? The trend in technology is leaning towards the greater use of bandwidth. Upgrading to a CAT6A and CAT6 cabling system can ensure transmission speed and sustained performance for processing needs. For business offices and data centers, investing into a higher-grade system will increase the network's capacity and performance.